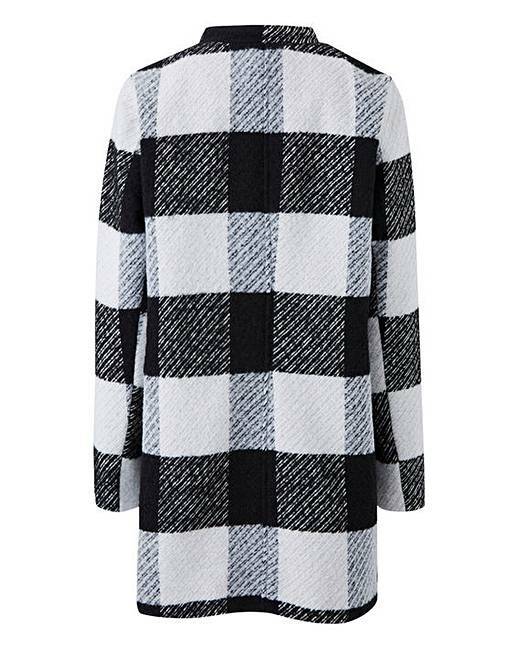 This mono checked jacket from Junarose is the perfect combinaton of functionality and style. 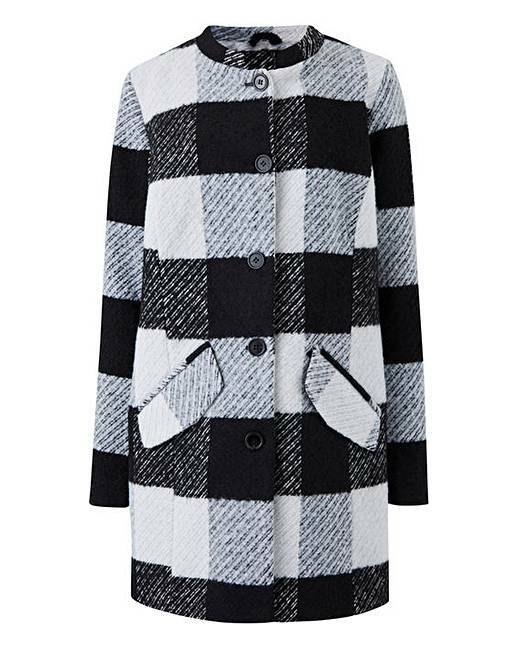 With its on trend oversized checked mono print, button through detail, functional front pockets and stand collar - this checked jacket is a great transitional piece. S = 14/16, M = 18/20, L = 20/22, XL = 24/26, XXL 26/28. 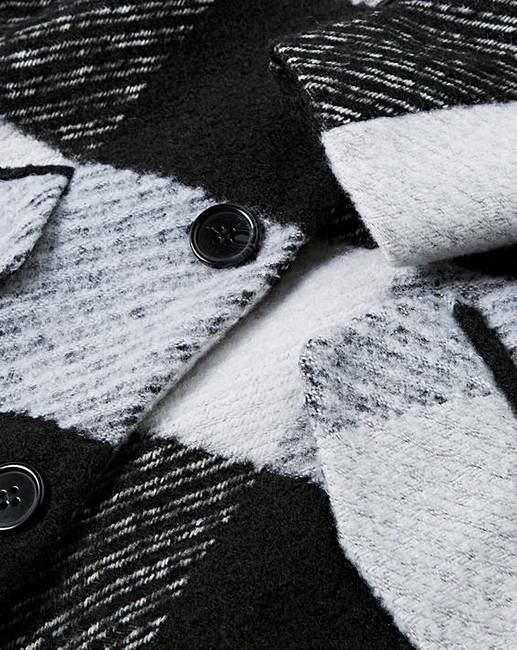 67% Polyester, 31% Wool, 1% Acrylic, 1% Polyamide.